Ahead of Apple's upcoming event on October 16, where it is widely believed to launch the new iPad Air, new photos have appeared online that point to the iPad Air 2 being much more powerful than its predecessor. Photos republished by apple.club.tw apparently shows the logic board of the new iPad Air. What's exciting about this leaked photo is that on closer inspection it shows that the iPad Air 2 will feature the A8X processor. Meanwhile, another snapped component appears to show off a space for a Touch ID home button, something we're expecting to see in the new tablet. 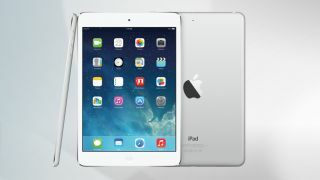 Last year's iPad Air used Apple's A7 processor, which was the same processor used in the iPhone 5S. With the iPhone 6 and iPhone 6 Plus using Apple's new A8 processor, it was widely expected that the new iPad Air 2 would feature the A8 as well. Including an A8X chip rather than the A8 chip found in the iPhone 6 marks Apple's return to creating specialised versions of its processors for its tablets. Both the iPad 3 and iPad 4 had their own more powerful variants of the iPhone A5 and A6 chips (the A5X and A6X respectively). These variants included much more graphics capabilities for better gaming and smoother experience when launching apps and using the iOS operating system. If the iPad Air 2 is coming with an A8X variant, we should see another leap in graphics power over the already impressive iPhone 6 and iPhone 6 Plus. These leaks follow another set of recent photographs which show that the iPad Air 2 could be shipping with a boosted 2GB of RAM. If both these leaks are accurate then we could see a much more powerful iPad Air on October 16.